Please feel free to fill out the following form with your contact information. We will respond to your request in a timely manner. 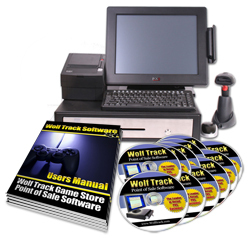 A valid email address is required so that we can contact you back and answer any questions about Wolf Track Point of Sale Software you have. If you have any immediate questions or comments about our product, please call us at (918) 794-1544 or email us at Support@wolftrack.com. Our staff is standing by to assist you. Thanks again for taking the time to learn more about our software.